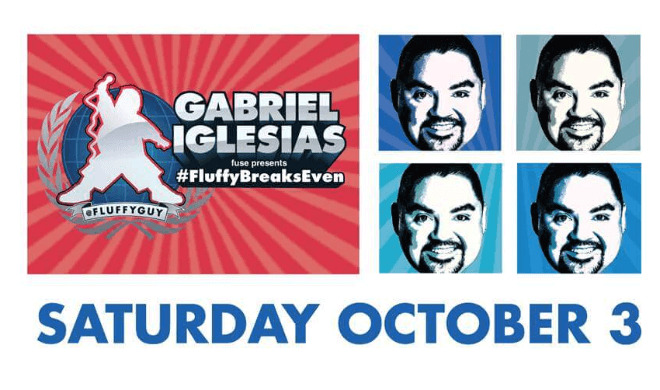 Iglesias is one of America’s most successful stand-up comedians and he performs in sold-out concerts across the United States and Internationally. His stand-up comedy is a mixture of storytelling, parodies, characters and sound effects that bring his personal experiences to life. His unique and animated comedy style has made him popular among fans of all ages. On July 11, 2014 Iglesias’s highly anticipated stand-up comedy film, The Fluffy Movie (Open Road Films) hit theaters. Following the release of The Fluffy Movie, Gabriel appeared in 20th Century Fox’s animated film The Book of Life alongside Zoe Saldana and Channing Tatum. In the summer of 2014, Comedy Central aired season 3 of Gabriel’s hit series Stand- Up Revolution, which features comedians that he personally selected. Gabriel reprised his role as Tobias in the highly anticipated sequel to the box office hit Magic Mike, with Matthew McConaughey and Channing Tatum, Magic Mike XXL released on July 3rd of this year. Comedy Central premiered Gabriel Iglesias: Aloha Fluffy in an unprecedented two-night comedy special to over 15 million viewers. 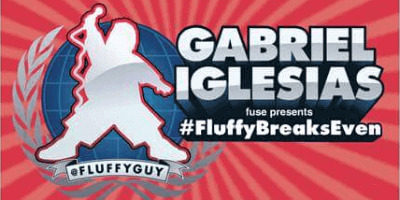 This was a great follow-up to his previous DVD specials, Hot & Fluffy and I’m Not Fat...I’m Fluffy, which has sold a combined total of 2 million copies.